Pierre Penthouse: What Makes a Home Worth $125 Million? Though The New York Times got the first look inside New York City's unbelievably opulent Pierre Hotel penthouse (pictured above), the $125 million listing officially stormed the Internet on Tuesday. It's the three-story home atop one of Manhattan's ritziest hotels that was once owned by the late investor Martin Zweig, who predicted the 1987 stock market crash three days before it happened. 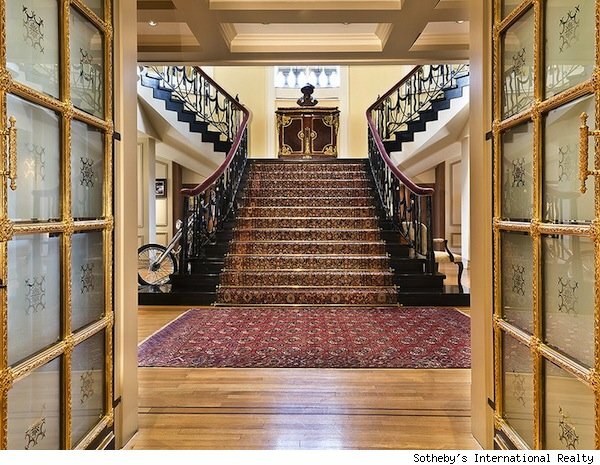 The home's jaw-dropping black marble staircase and sweeping living room -- which used to be the hotel's ballroom -- has garnered real estate fame for years. But even with all that, is it really worth $125 million?! What exactly makes a home worth that much? Well, it's all in perspective. If you ask Pierre penthouse listing agent Elizabeth Lee Sample, you're paying for art. Indeed, there are a number of cases where Realtors pull the "art card." 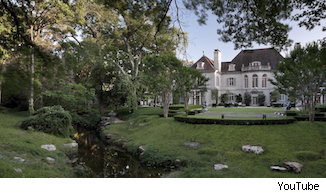 Take the most expensive listing in America at the moment, the Crespi/Hicks estate (pictured at left) in Dallas. The 42,500-square-foot home originally built for an Italian count has a $135 million price tag. And why not? It's an "Architecturally Significant Home," according to the listing's website (which is actually called SignificantHomes.com). With a headline that reads "Architecture as Art," the listing boasts that the Crespi/Hicks home is the kind that hits the market "once in a generation. ... The finest estate homes elevate the cultural consciousness." So next time you see a crazy-expensive home on the market and you think, "Who on earth would pay that?!" Just remember, it's art -- and art is worth a lot.